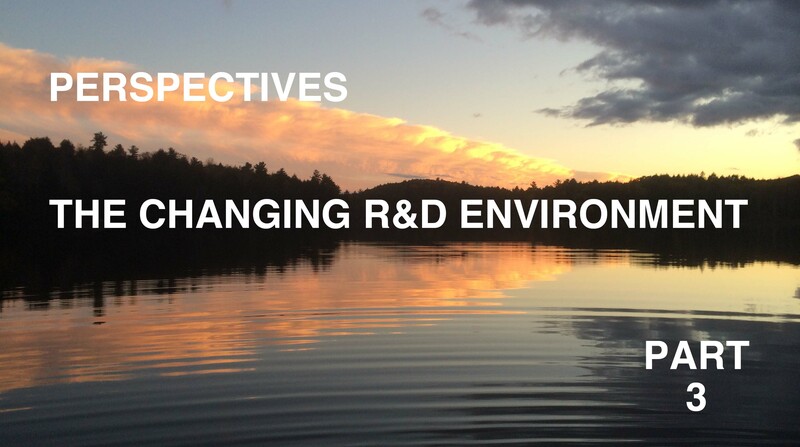 There are lots of trends and new ideas when it comes to the science of managing R&D. Some got started when a technological advance changed the best way to manage or make decisions. Others arose from new thinking in management science in the light of macro changes taking place in business and political structures, practices, and economics. Twelve trends were addressed in this two part series that ran in January and February 2016 in Machine Design magazine. At the Editor's request, we have added a capstone article in the March 2016 issue entitled "Perspectives." In this third and final piece, additional thoughts are offered on each trend and some of the interplay between trends is discussed. As you consider each trend, keep "Big Data" in mind. It is a "macro trend" that will affect every industry and segment of the globe. It underlies more than half of the trends discussed, and, to a lesser extent, it will affect all 12. As an exercise, give some thought as to whether each trend is technology-driven or thinking-driven. In some cases, it’s both. The 12 trends relating to the science of managing R&D are in the following twelve business and/or functional areas. Here are the previously published Part I and Part II articles covering the 12 trends. Top 12 Trends in the Science of Managing R&D and Product Development: Part 1 [Machine Design - January 2016] discusses the first six of the trends. Top 12 Trends in the Science of Managing R&D and Product Development: Part 2 [Machine Design - February 2016] discusses the last six of the trends. This is the capstone "Perspectives" article. Top 12 Trends in the Science of Managing R&D and Product Development: Perspectives [Machine Design - March 2016] discusses the trends as a whole and comments on selected interrelationships between trends.